Monaco go into this game knowing that a win will guarantee them a place in the next round, which is just the second time in over ten years. Spurs are another side who rarely feature in Europe’s elite league and are in serious danger of being knocked out early on as they sit on just four points, knowing nothing but a win can save them. Score Draw expected at The Stade Louis II. Sporting are all but out of the Champions League as they trail second place Real Madrid by five points with just two games to go. The visitors travel to Portugal following a superb 0-3 victory over eternal rival Atletico Madrid in which star man Ronaldo scored a fantastic hat trick. This is a must win for Zidane’s side if they have any hope of topping their group. Away Win expected in Portugal. Despite their poor domestic run of form Leicester have proven to be more than a match for some of Europe’s heavyweights and a win on Tuesday night will see them top their group and should also mean an easy draw in the Last 16. The Belgians have had a tough time and have yet to win a point so far. Home Win expected at King Power Stadium. 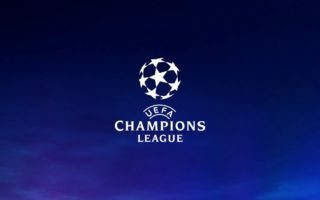 Sevilla might prove to be one of the surprise packages in this years Champions League as they top their group on 10 points and undoubtedly will settle for a point when Italian side Juventus visit on Tuesday night. The Old Lady have slipped up a number of times and now risk finishing second in Group H and much tougher opposition come the Last 16 draw on 12th December . Score Draw expected in Seville. Despite an awful display, Arsenal will delighted with the late point stolen at Old Trafford over their long standing Premier League rivals on Saturday afternoon. The Gunners sit on equal points with PSG and have enough experience in this competition to know the value of finishing first in their group. The visitors come into this game fresh from a home win over minnows Nantes and sit joint top of the Ligue 1 standings. Home Win expected at The Emirates Stadium. Napoli have been extremely inconsistent in both their domestic and European commitments as the Napolitans risk having yet another disappointing season. The visitors are definitely the weakest link in their group and have yet to win a game. This is a must win for the Italian side. Home Win expected at the San Paolo. Borussia Moenchengladbach shot themselves in the foot a few weeks ago when they were held at home by Celtic to all but rule them out of qualification into the next round. Manchester City came from behind to down European powerhouse Barcelona 3-1 in the last round in what was a thrilling game of football. This will be a close game but I reckon Pep Guardiola can lead his side to victory. Away win expected. Atletico are the only side in this competition to boast a 100% record as Simeone will demand an immediate reaction following his side’s embarrassing 0-3 home loss to eternal rivals Real Madrid on Saturday night. PSV have been very poor so far in this season securing just one point from their opening four games. Home Win expected at The Vicente Calderon.